Daniel Ricciardo says “someone said no” to his move to Ferrari and while he’s not exactly sure who it was, he has an idea. The 29-year-old was linked to Ferrari earlier this year with reports suggesting it was bordering on a done deal only for it to fall through. 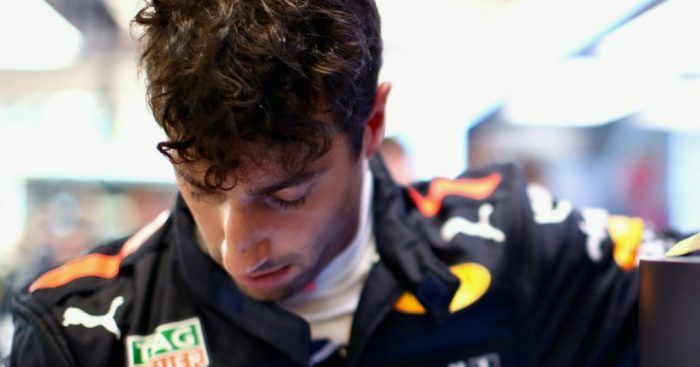 According to the media, Ferrari balked at the thought of paying what Ricciardo wanted – rumoured to be around the 20 million mark – on top of Sebastian Vettel’s salary. Instead the Scuderia opted to put 21-year-old Charles Leclerc in the car for 2019 while Ricciardo is off to Renault. Asked by Automoto if he had asked for too much money from Ferrari, he said: “I don’t know what you’re talking about. Who said I’d asked for too much money? Pressed on who that “someone” could be, he replied: “Good question, maybe it’s better if you ask them. “I talked and discussed, but you see that they had already made arrangements with Leclerc, so mine fell through. The Aussie, though, added that the door to Ferrari may not be permanently closed. “I hope to still have some time in F1 and who knows that in the future there are not opportunities to meet again,” he added. But while many may think the person who blocked Ricciardo’s move was his former Red Bull team-mate Vettel, it is well known that former Ferrari boss Sergio Marchionne was keen on Leclerc and wanted him as Kimi Raikkonen’s replacement.